Skunk! Oh No! 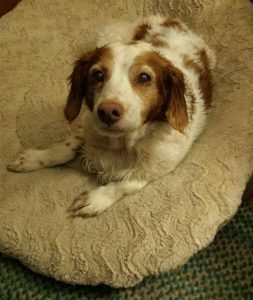 My Brittany encountered a skunk! Don’t let them carry the smell indoors. Check their eyes; if they’re irritated or red, immediately flush them with cool water. Rub the mixture through their fur, but don’t leave it on too long (peroxide can bleach fur). Rinse thoroughly. 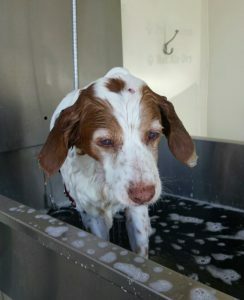 Next, wash your Brittany with pet shampoo and rinse thoroughly. By now, they should be de-skunked and smelling sweet. 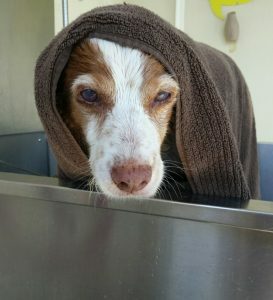 If your Brittany rubbed some of the stink onto you, you can rid your clothes of the smell by using regular laundry detergent mixed with a half-cup of baking soda. 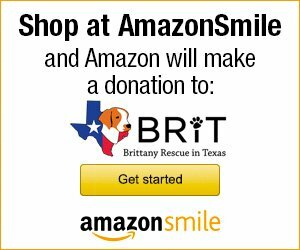 DON’T bring your Brittany in the house – wash them outside and wear gloves!!! If you don’t want to throw your clothes away, be sure to wash them immediately (by themselves) with baking soda. 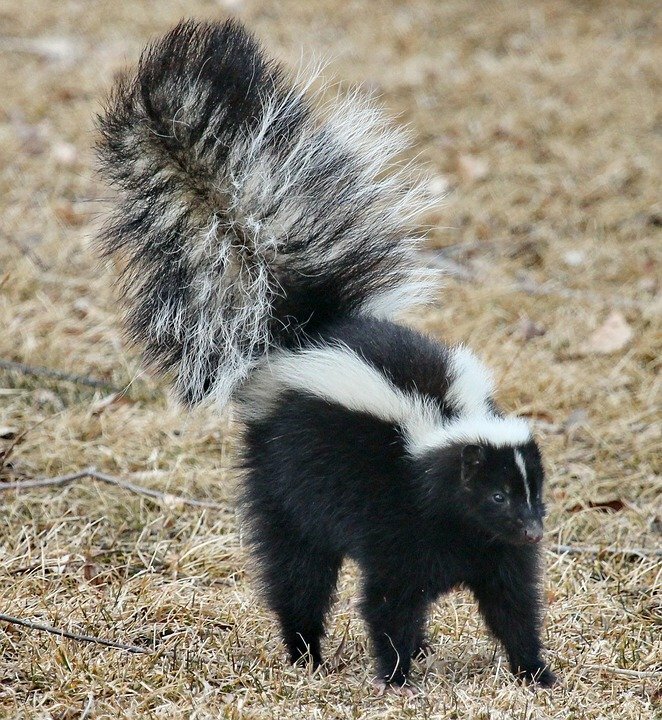 Many times the skunk sprays into the animal’s eyes – be sure to immediately flush them out (several times) with cool water (only cool water). DO NOT get peroxide anywhere near your pet’s eyes. You will want to have peroxide on hand for many dog-related issues, but be aware that it loses its freshness once opened. So keep a closed bottle on hand for future needs. Also keep in mind your yard will also smell from the skunk spray for weeks and your pets will track that smell through your house every time they come inside. 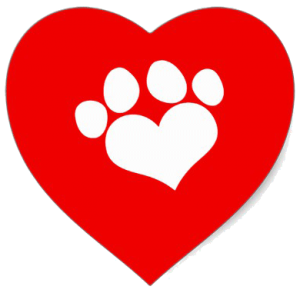 Keep deodorizing bath wipes on hand for when your pets come in.